Aprenda inglês com os jogos olímpicos. O jogador de basquete britânico, Pops Mensah-Bonsu foi um dos que testaram a quadra que será usada em 2012. Today we will be hearing from one of the British basketball players and we will be learning the phrase 'a big deal'. Preparations for the Olympics take a long time and with less than a year until the London 2012 Olympics, test events have started happening in the Olympic venues. These events are a practice for the Olympics. Recently there was a basketball test event and basketball players got the chance to play in the new Olympic venue. So let's hear from one of the British basketball players who was there, Pops Mensah-Bonsu. Listen out for how he uses the word 'backyard' and the phrase 'a big deal'. You know, playing in the Olympics in your backyard is a big deal, so I'm definitely going, it's going to be an emotional time for me. Let's listen again for how he uses the word 'backyard' and the phrase 'a big deal'. Let's look at the phrase 'in your backyard'. No clipe ele usa o termo como uma expressão idiomática que significa na cidade em que vive. He used the phrase 'a big deal'. Playing in the Olympics in your backyard is a big deal. Well so far we have learnt the phrase 'a big deal' and we have learnt how the phrase 'in your backyard' can be used to mean in your home town. Now let's listen to some people in London using the phrase a big deal in different ways. Having the Olympics in London will be a big deal. Being a few minutes late is not a big deal. I'm Natalie and that's all from Talking Sport. In the video Pops Mensah-Bonsu said playing at the Olympics was going to be an 'emotional time' for him, meaning he is going to show or feel strong feelings during this time. "...it's going to be an emotional time for me." e.g. I feel very emotional after watching that sad film. e.g. Sally was very upset, she couldn't control her emotions. e.g. Tim spoke emotionally about his life. Now complete the sentences with the adjective, noun or adverb. 1. He never shows any ___________. 2. I love that song. It is very ___________. 3. There was no sign of any ___________ on her face. 4. The couple were ___________ reunited. "...playing the Olympics in your back yard is a big deal." Now complete the sentences with the correct phrase. The form of the phrase may need to be changed. 1. I hate _______________ difficult customers. 2. I feel that we got _______________. It really wasn't fair. 3. Yesterday we _______________ with a really important company. We will be working together from next month. 4. I think we got _______________ on that house. It was a really good price. 1. He never shows any emotion. 2. I love that song. It is very emotional. 3. There was no sign of any emotion on her face. 4. The couple were emotionally reunited. 1. I hate dealing with difficult customers. 2. I feel that we got a raw deal. It really wasn't fair. 3. Yesterday we closed a deal with a really important company! We will be working together from next month. 4. I think we got a square deal on that house. It was a really good price. 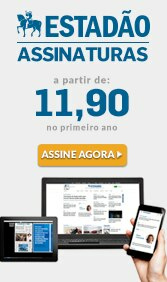 BBC Brasil - Todos os direitos reservados. É proibido todo tipo de reprodução sem autorização por escrito da BBC.